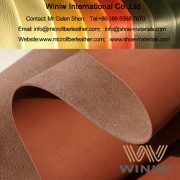 People often put the outside leather synthetic leather, such as: PVC, PU leather, referred to as artificial leather or imitation leather. PVC, PU is PVC (a type of plastic guess), but that of the production technology of the two goods is different. 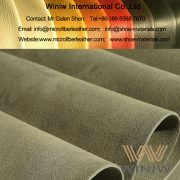 PVC leather in the process of making plastic particles melt mixing into a paste, according to the rules of the thickness of the uniform coating on T/C knitted fabric bottom base, and then into the foam foaming furnace, make its can be used to produce various commodities, not with the demand of softness, together for appearance of disposal (dyeing, embossing, extinction, grinding surface polishing, burr, etc., mainly in accordance with the detailed demand for). PU leather in production technology are more complex than PVC leather, due to the PU backing is tensile strength good canvas PU material, in addition to the coating on the top of the base cloth outside, also can be knitted fabrics to be included in the middle, the outside watch is not really exist. Physical properties of the PU leather is better than PVC leather, bending resistance, good flexibility, tensile strength, permeability (PVC). 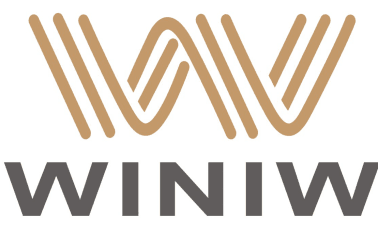 Markings of PVC leather is through steel stripes roll extrusion; Markings is to use a pattern of PU leather paper ReTie pressure appearance in semi-finished leather first, wait for after cooling down again into the separation of paper leather, do appearance treatment. Quotation of the PU leather is more than twice as high than PVC leather, some special requirements for price is higher than PVC leather PU leather for 2-3 times. Usually demand by the PU leather stripes paper used only 4, 5 times namely expires; Speckle roller use cycle is long, so cost is higher than PVC leather to PU leather. Scope of application of these two materials have some differences. In terms of footwear, multi-purpose in PVC leather material or not to accept the part of the component, or to make children’s shoes; Can apply to the PU leather footwear cloth or accept component parts. In terms of bags, apply more is PVC leather. This is because the bag bag of items is different from the wear in the feet in the shoes, won’t give out heat. Don’t have to accept their weight. PU, PVC difference method is relatively easy to, look from the edges of PU is much thicker than the PVC backing, feel is also have differences, some soft PU; PVC handle hard; Can also use fire to burn, the taste of the taste of PU than PVC to light a lot.